Tremendous thanks to this month's kind and helpful Secret Agent, Sally Apokedak of the Leslie H. Stobbe Literary Agency! She’s been studying, reviewing, and marketing children’s books, as well as giving writing instruction for a dozen years. As the manager of the Kidz Book Buzz blog tour she was privileged to work with best-selling and award-winning authors such as Jeanne DuPrau, Ingrid Law, and Shannon Hale. 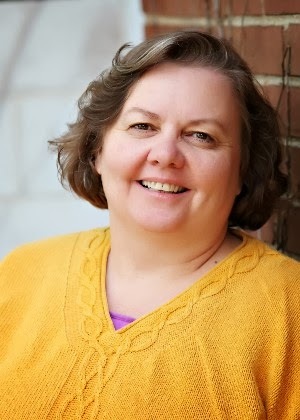 She teaches at general market and Christian Writers’ conferences across the country. Sally is looking for books for both the Christian and general market. MG and YA novels are Sally's first love, and fantasy is her favorite genre. She also likes adventure, mystery, and romance. In adult novels she's looking for romance and romantic suspense--but no erotica, please. What she would mostly love to see right now, is an MG or YA sci-fi with lovable, active characters doing exciting things, told with a great voice. I just wanted to thank Ms. Apokedak for her generous commentary. Her critiques were so thoughtful and helpful. ooh exciting! I love Shannon Hale's books. Thank you for doing this! Your critiques were so helpful!! Thanks so much,Sally! Your specific feedback was very useful and I appreciate it! PS - Was exciting to see you on here especially after meeting you at the NYC conference. Congratulation to all winners - Sally is kind and helpful in person too! I smiled when I saw you here, too, Andrea. Small world. I saw several people I know here and I love that about the children's writing community. I love that it's a small world and I love the friendships I've made. And thank you to Sally for taking time to leave helpful comments for all the entries. I enjoy learning from them.